Another very full edition of our newsmagazine BC Birding is now available for download or reading on-line in the members area above. 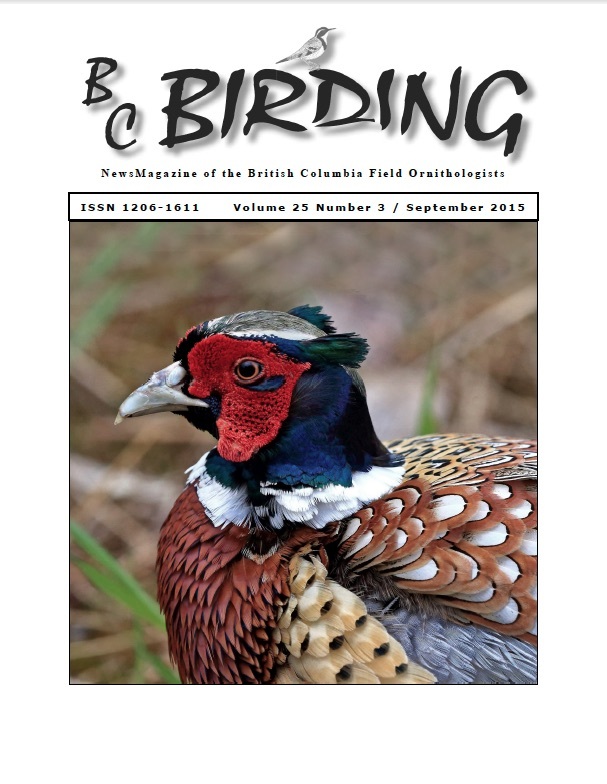 This September edition features articles about our Oliver/South Okanagan AGM and the Eastern Washington extension trip, the fantastic birding adventures of our Young Birders, and some BC ornithological history courtesy of Bill Merrilies. Mike Church’s summaries of fascinating findings from ornithological research continue as do Clive Keen’s The Reflective Birder pieces. A series of Memorable Avian Encounters have been contributed by Dennis Leonard, and Les Gyug has given us an account of the very successful, pre-conference, two-day trip he lead for members to the Kelowna area. There’s even more between the covers.